You get Free Technical Support for the life of your snow blower or salt spreader when you make your purchase with Snow Blowers at Jacks. We are a servicing dealer and will have your purchase on file, so we can look up your model and serial number when you call to help you effectively. We are not just an Internet Wholesaler whose service ends with your purchase. 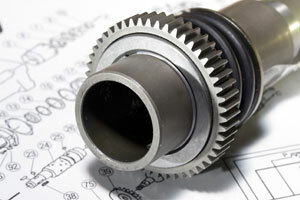 Our customer service team is trained on parts and has years of experience. You are not going to find that at a big box store, where the guy who sold you a piece of equipment is in a new department every other day. Our people work with snow blowers day in and day out. You get the Free Technical Support because that is what we do and that is what we have done for years. We are a parts and service company first. Now our knowledge and experience is here when you need it. Just give us a call. All purchased snow blowers, salt spreaders, and snow plows are given Free Freight Shipping to locations in the lower 48 states. The only shipping charges apply to purchases of parts and accessories. We do not currently ship outside of the lower 48 states. Additional shipping costs will apply if you want lift gate service. Lift gate service lowers your package from the freight truck to the ground safely via a hydraulic lift. Without lift gate service, your equipment should be delivered to a loading dock or to a location with a forklift to unload the equipment. Snow Blowers and Salt Spreaders are heavy pieces of equipment that can weigh hundreds of pounds. If you want a residential delivery, you must have several strong and fit people to unload the snow blower. The driver is not required to help in the unloading process. We recommend lift gate service for residential customers who do not have a loading dock, or a forklift, or the manpower to safely lower the equipment from the truck. 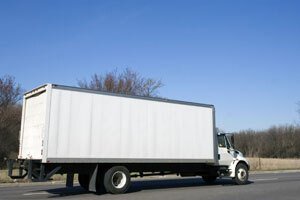 * Additional freight charges may apply for delivery to certain destinations. We will contact you if additional freight charges are required. Jacks is pleased to offer RUSH PROCESSING. For an additional $39.95 your equipment order is guaranteed to ship SAME DAY, if placed by 1pm EST. Tracking information will be e-mailed to you as soon as your order is processed. 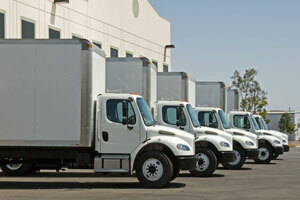 You will have the ability to track your order all the way through final delivery. During peak seasons equipment can sell very fast. For example, when severe snowstorms are forecasted our snow blowers have a very short shelf life. Rush processing guarantees priority service. So why wait?! Select RUSH PROCESSING and receive expedited service today!! RUSH PROCESSING is available on in-stock equipment orders placed Monday - Friday by 1pm EST (excluding Holidays.) All RUSH orders placed after 1pm will be promptly processed the following business day. Do not worry, all orders are important to us - if rush processing is not a priority, standard processing time is only 1-2 days. We fully understand the value of your time and money. Feel free to call us for more information.